What do you think of when you hear the word invention? Something that has never been made before? The unique creation of a device or method? Unique, creative and unprecedented are certainly words that be used to describe Inventionland – The Invention Factory. George Davison the innovator, visionary and founder of the Inventionland offices decided when designing the workspace to change the ‘expected’ and ‘standard’ working environment to one that inspires, motivates and excites employees to create and produce astonishing and interesting inventions. Davison collaborated with his team of entrepreneurs when designing the space and ensured that the somewhat whimsical office environment was also fully functional and equipped. 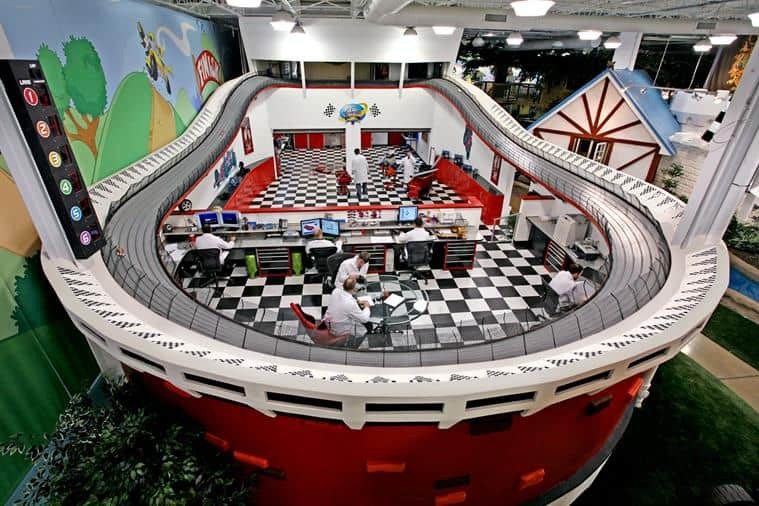 The 150 foot Scalextric space is home to the garage and automotive product field. This area itself has won an array of awards, including winner of the Industrial Design Excellence Award by Business Week! 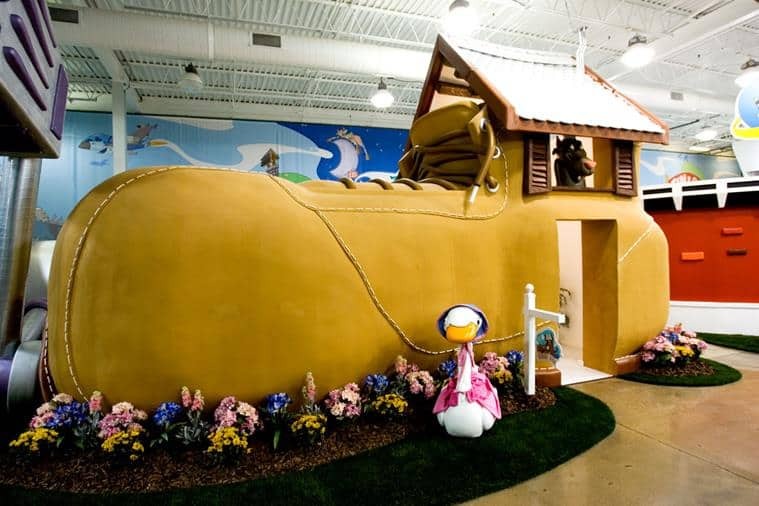 The Giant Shoe which can be seen in the work space is home to Nursery Nook – a space designed to inspire inventors to develop children’s products such as books and toys. The space can also be double as a crib service! 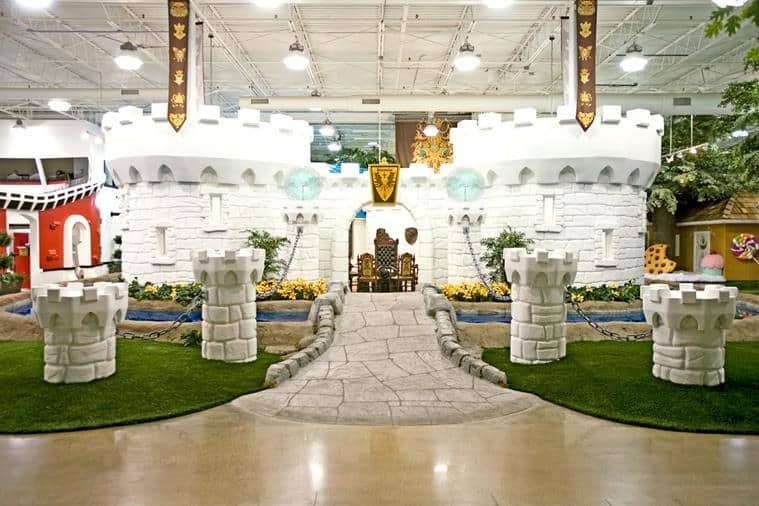 The castle is often described as the heart of the office. The castle which included turrets and a drawbridge is the place of meeting for senior directors, and a hub of brainstorming ideas. 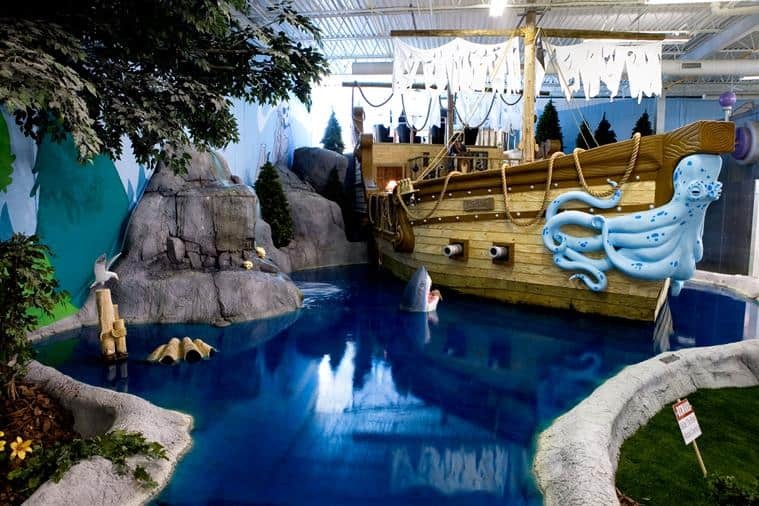 This space, which includes pristine water and is home to Inventionland’s resident shark houses the home for high-tech products and games.